Our academy offers a refreshing, new approach to accreditation training that is unmatched in the market place. 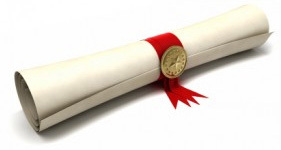 Our accreditation training is designed to ensure both theoretical and practical learning. Through our processes individuals receive in-depth learning about the fundamental concepts. In addition, we place great emphasis on the fact that our tools ‘cut their teeth’ in a consulting environment. Therefore, we provide a great deal of opportunity to practice and learn how to actually use the tools in a working environment. You don’t just learn about the GPI™ (for example), you learn how to use it in the full range of coaching and consultancy situations that you might find yourself in. Our approach is highly flexible; accreditation training on the one hand can be of the open, public type but on the other, entirely bespoke to the needs of a particular organisation. The client needs drive how we deliver our accreditation processes. For those organisations that favour the use of external consultants and don’t require accreditation training, we deliver our development work with the HR function at the ‘awareness’ level. This allows HR to field ongoing operational questions and issues and helps build a strong tripartite partnership between themselves, the business and GIL. Our public events run throughout the year and are available for people to book themselves on. They provide the opportunity of meeting and working with people of different industries and sectors. To book yourself on a programme. Our programmes can be entirely bespoke and designed for delivery to an organisation internally and this type of accreditation and training can be a combination of formal learning event (i.e. a formal three day training course) together with a defined or ongoing co-delivery process. On occasions there is a need for bespoke one to one accreditation training processes where our consultants will work individually, entirely designed to the client’s requirements.